Australian Specialty Coffee Association (ASCA) members have appointed Kieran Westlake its new President. The new board was elected at the association’s Annual General Meeting on 12 October at Criteria Coffee in Melbourne. “It’s with absolute humility and honour I accepted the position of ASCA President,” Kieran says. Kieran credits outgoing President Brent Williams and Secretary Jeremy Regan, and Past Treasurer and Vice President Andrew Kremmer for their contributions in guiding the association on a new path. In the past few years, ASCA has introduced the #ASCA Top 12, the Australian Coffee Chain Challenge, the Eleanor Genovese Women in Coffee Award, and continues to uphold high-quality regional and national competitions. Kieran has lived and breathed hospitality for the majority of his life, having owned his own cafe and now working at hospitality equipment funder Silver Chef as its Head of Channel Strategy. Kieran joined the ASCA Board two and a half years ago as Treasurer, and has since served as Vice President. 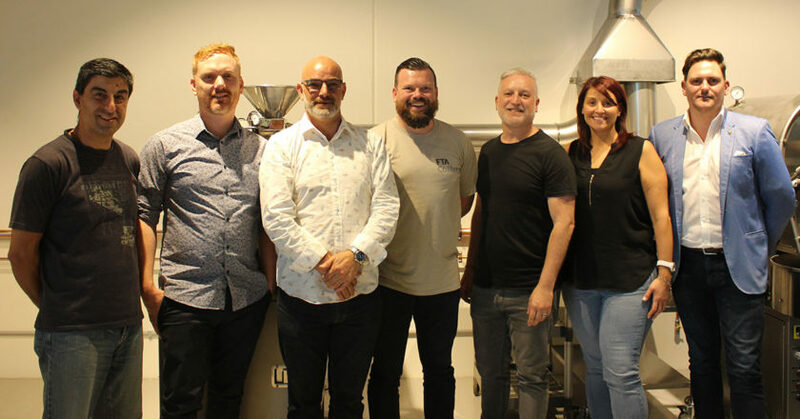 The new board includes Vice President Nic Michaelides, Secretary David Boudrie, Treasurer Chris Weasley, Roasters Guild Cam Ballard, Barista Guild Michaela G, and Ordinary members Melissa Caia and Bruno Maiolo. The ASCA Board would like to thank Brent Williams for his five years of service as a Board member, including four years as President of the association. “I’m really proud of how far ASCA has come in the past five years,” Brent says. “We’ve achieved so much in that time, from re-branding ASCA with the logo you recognise today, to re-structuring sponsorships in order to bring our sponsors and members the best value possible. Brent also praises the work of the Competitions Committee, which runs the ASCA Australian Coffee Championships to a world standard. “People always ask me how they can run their competitions with the same efficiency – we truly have the brains trust of the competitions world here in Australia,” he says. Brent Williams will remain on the ASCA Board as the immediate past President. Image (from left to right): Bruno Maiolo, Chris Weasley, Brent Williams, David Boudrie, Nic Michaelides, Melissa Caia, and Kieran Westlake.